Be Authentic. Be Feminine. Be Happy. Teaching women to enjoy being feminine. This book gave me SOOOOOO much life! Absolutely loved it! Loved it so much that I recommended it as a must read to both my women's group and my book club. I read another book about men leading and it was so belittling to women it made me sad. The black girl's guide did share how to let a man lead but instead it uplifted women and instructed us to love ourselves first. 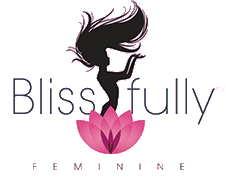 The author guides us on how to be Blissfully Feminine, to be what God and nature intended us to be, ladies! How to feel good about ourselves and still attract a respectable, deserving man. Candice shared her own struggles and how she was able to learn from her mistakes and teach other women how to get out of their own way. It was a quick read but I have to admit I read it a few times because I did have to self evaluate myself and do some other research on femininity from men's point of view. When my daughter become of age, I do intend on having her read this book as well. Very insightful! This book made me take a look at my 30-year marriage in a whole new light. I think I *finally** found the answers I've been seeking into male behavior. The author explains much about the male-female dynamic. A wonderful guide.